Alexandra Palace may never be the same again. The world’s largest inflatable obstacle course, dubbed The Beast, is coming to Alexandra Palace later this summer. 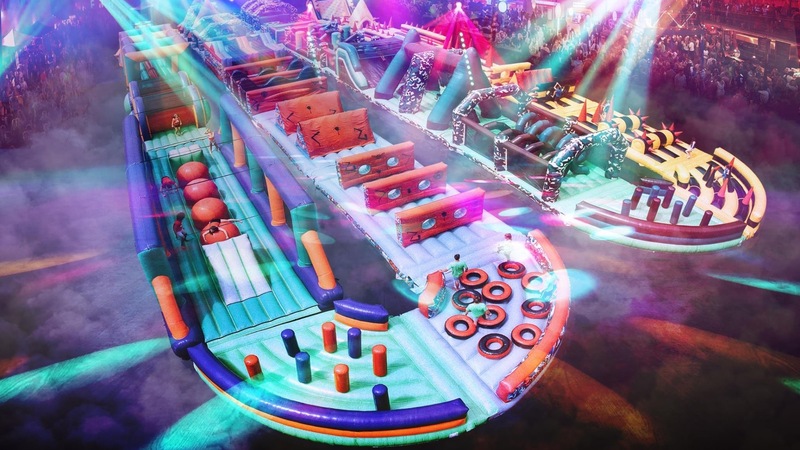 The 272-metre-long course will represent the ultimate nostalgic bounce castle experience for any adults out there with fond memories of birthday parties and outdoor fun. It will probably bring the memories flooding back for anyone who ever experienced the drunken mayhem of the average student Fresher’s Week or end of term party. Either way, running over the course of the upcoming August Bank Holiday weekend, visitors will get a chance to run, bounce and dance their way through a whopping 32 different obstacles. Over the course of the four-day bounce-a-thon, visitors to The Beast will also be able to choose from a wide selection of street food vendors including Saucy Chip and Taco Revolution. With cocktails, craft beers and Prosecco also available nearby alongside live DJs and you have all the ingredients for a boozy bank holiday to rival the very best – be careful combining all the food, alcohol and excessive bouncing though. The whole thing is the brainchild of UK promoters Nick Zuppar & Joe Arditti together with Belgian event producers Hold My Shoes. Running throughout the day, 10am to 11pm, from Friday August 25 to Monday August 28, tickets are available to purchase online now.